Somehow an old post got mixed in with the new May Step Challenge. I am sorry for the technical glitch. Luckily we are ready for June. PLEASE remember, at the end of this month, to post your GOAL & TOTAL # STEPS on the Results page. My goal for the month will be 310,000 since I am just getting back to walking again. Going to try for 185000 this month! Goal for May is to take 310,000 steps because there are 31 days in May. Cumulative total for May = 294,409 - Almost there! My goal for May is 425,000 steps. I'm going to "stretch" for 400,000 steps in May. My goal for May is 310,000 steps. 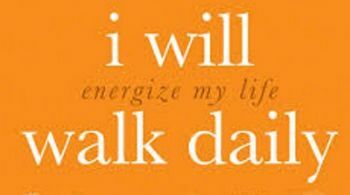 I will be keeping my daily goal to 24,500 steps/day and my monthly goal to 740,000 steps for May Keep moving people! 05/12/. 11,164. Happy Mothers Day!! 05/27/. 15,214. Happy Merorial Day! Goal For May is 550, 000 steps!! Set your own goal and record your daily steps to see your progress during May!